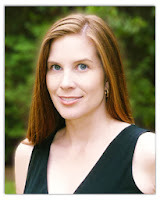 particularly enjoys creating stories about monsters–vampires, werewolves, and even the real-life monsters that populate her romantic suspense stories. I've been thinking about Drake for a while now. Can't wait to see how he plays out :). Love Cynthia! Always enjoy Cynthia's books, her characters are so strong!